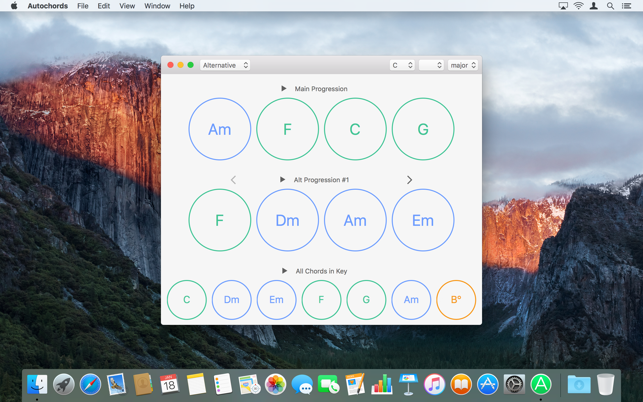 Get inspired and have a jam with Autochords. 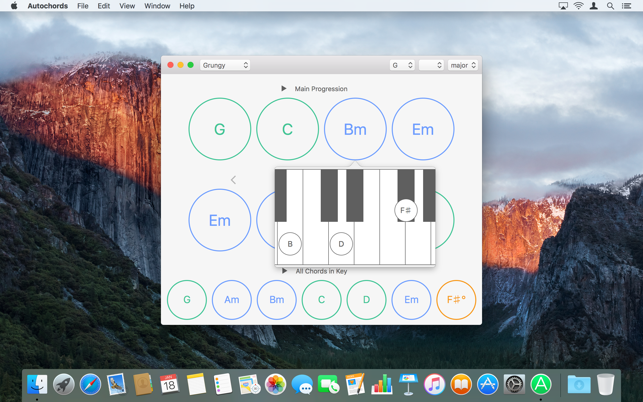 Just pick a mood and key and Autochords will show you what to play. • Dozens of progression styles to choose from. 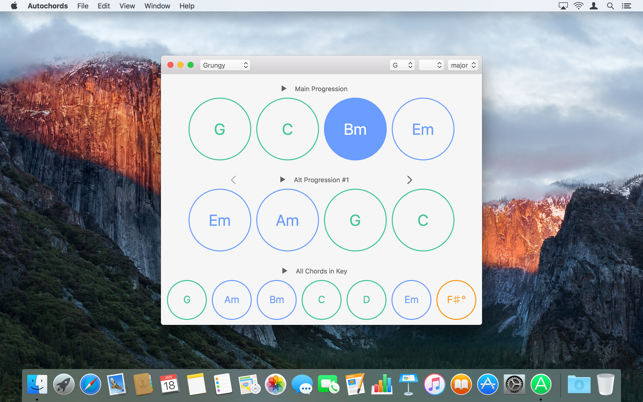 • Click a chord to hear how it should sound. • Right-click to see chord diagrams. 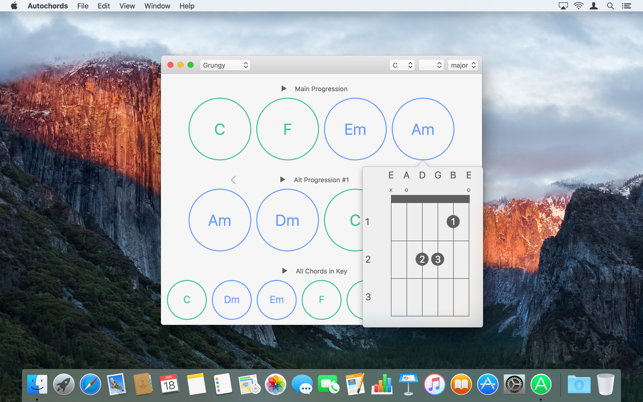 • Switch between Piano and Guitar in the View menu. Email hey@autochords.com with your feedback and suggestions!